Damtoys just announced on their Facebook page that they have got the license to produce 1/3 and 1/4 scale premium collectible statues from the upcoming Warcraft Movie. 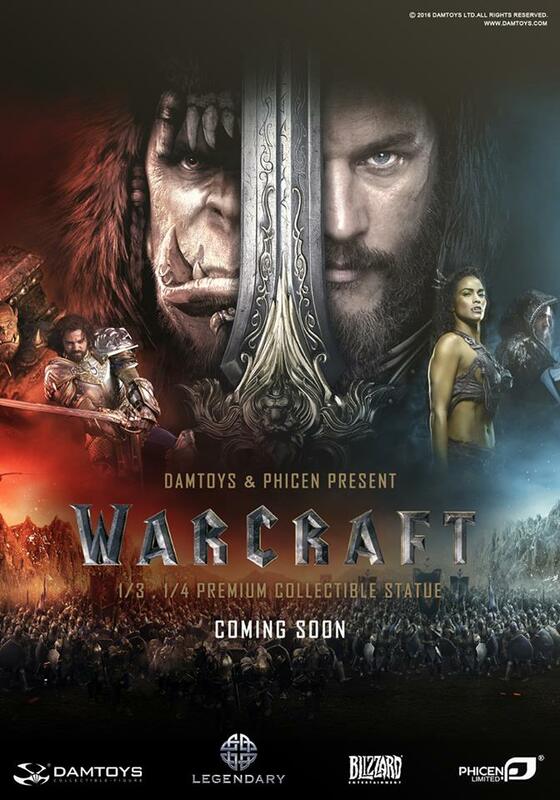 "We are excited to announce DAMTOYS & PHICEN been official authorized to produce 1/3rd and 1/4th scale premium collectible statues of Warcraft Movie! The movie is based on Blizzard Entertainment's famous video game “World of Warcraft”, and it's also the first movie of Warcraft from Legendary Pictures! We will bring you the finest realistic Warcraft statues, and we appreciate your expectation and interest!" This will be interesting! I would have actually preferred to see some 1/6 figures from the Warcraft Movie but let's see how they turn out. I won't be surprised to see some 1/6 Figures turn out sooner or later and it will add to my pool of choices on what Warcraft Collectibles I want to collect. 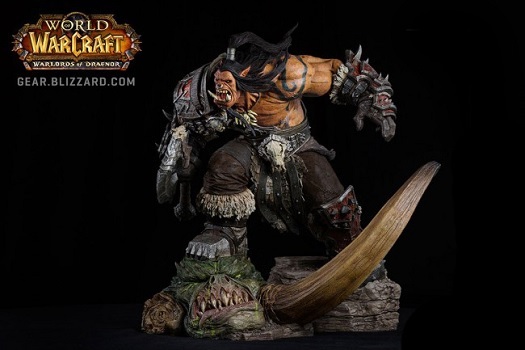 Still eyeing that Grommash Hellscream Statue from Blizzard's store!